The Toyota RAV4 is the ultimate, properly-equipped vehicle for weekend camping trips or any outdoor adventure you and your family are about to embark. It offers a new Adventure trim that not only adds new style elements but also helps enhance your driving performance and capabilities. Speaking of performance and capabilities, the Toyota RAV4 offers just that. It can tolerate rough and uneven road surfaces, thanks to its trim level and additional ground clearance. It also comes with the standard RAV4 engine, 2.5-liter 4-Cylinder DOHC 16-valve engine. The Toyota RAV4 also has an upgraded radiator, supplemental engine oil cooler and transmission fluid cooler. It also has better tow rating; you can bring an extra small trailer for your next outdoor trip. Plus, it can reach up to 176 horsepower. As for appearance, the Toyota RAV4 won’t disappoint. It has 18-inch five-spoke black alloy wheels and sports large fender flares that offer a rugged appearance. It also has kick plate accents around the vehicle, which helps protect against damage. 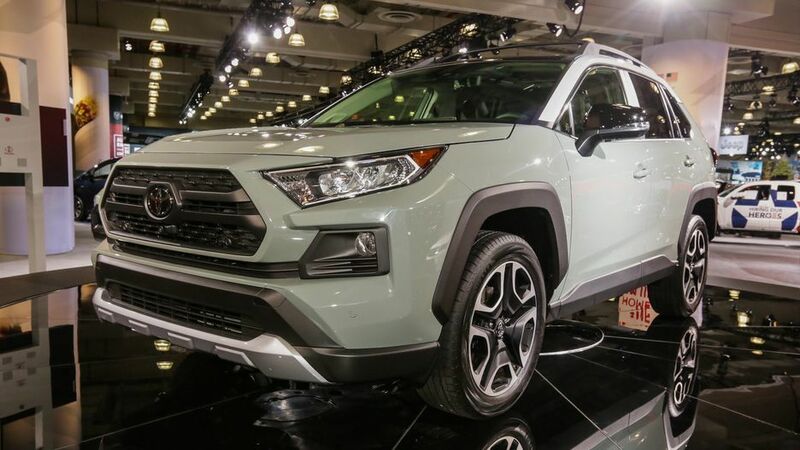 If you want to get your hands on the Toyota RAV4 Adventure trim, visit a dealership today or call to have a test drive scheduled. Want to get notified whenever we write about Gullo Toyota ? Next time we write about Gullo Toyota, we'll email you a link to the story. You may edit your settings or unsubscribe at any time.